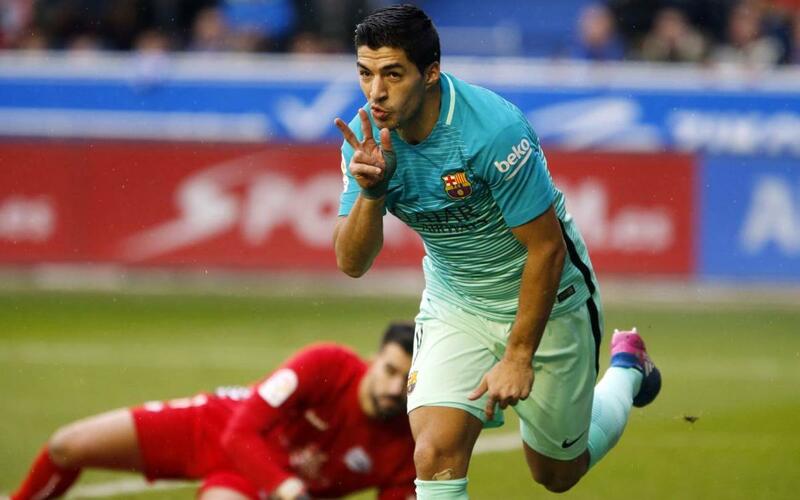 FC Barcelona were simply stunning on Saturday at Mendizorrotza, and one of the many heroes of the 6-0 win was Luis Suárez, who’s now top goalscorer in the league with 18 goals. But in addition to his brace in Vitoria, the Uruguayan was also involved in all but one of the other goals. It was his classic bit of goal-poaching off an Aleix Vidal assist that got the goals started. He then laid the ball on to Neymar Jr (with a little help from the Alavés keeper) for the second and set up the moves that led to Leo Messi’s attempt bounding off Alexis for an own goal, and also back-heeled to Ivan Rakitic for goal number five. And to cap a stunning day, Suárez pounced on the rebound to covert the sixth and final goal for the new Liga leaders, and in doing so level up on 109 all-time goals for the club – the 13th best of all-time and an honour he shares with his manager Luis Enrique.